4 Quick Travel Tips to Beat Winter Boredom! As a native New Yorker, I have experienced how depressing and boring the winter months can be for those of us stuck in the Northeast, especially during the months of January-March. With snow in the forecast almost every single week, most of us find ourselves longing for a trip (whether it be to a warm and sunny place, a busy city, or a weekend of skiing). On the plus side, travel becomes significantly cheaper during these colder months and the limits are endless as long as you know where to look! Where would you decide to go? Credit: High on Life Quotes via Flickr. 1. Search around for Airfare. Sites like Google Flights and Matrix Airfare are two amazing tools that will help you find the cheapest airfare possible! I have used both services and found that Matrix has always found the most affordable options. Although you cannot directly book through the website (you must visit whatever airline’s webpage that you find the cheapest deal on) it’s a small price to pay for the money you will ultimately save! 2. Book alternatives to hotel stays! Airbnb is one great option that will save you hundreds of dollars on a hotel stay. It doesn’t hurt that a lot of the apartments/homes you can stay in are absolutely stunning! 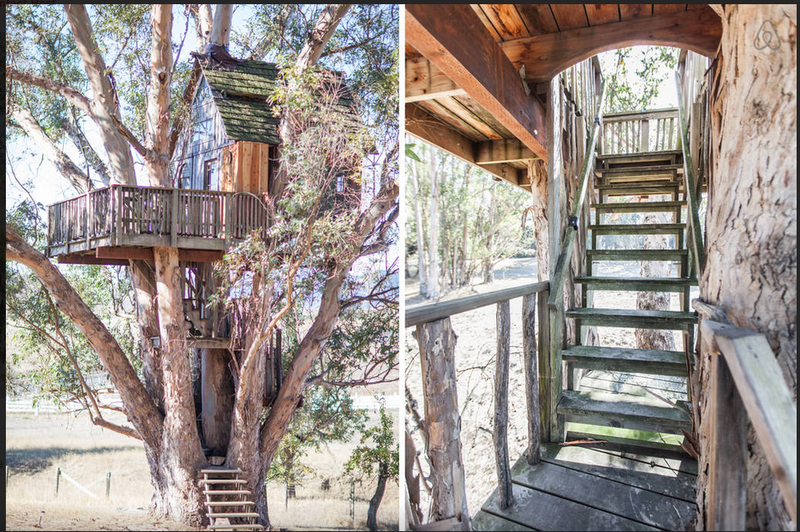 For example, check out this California treehouse on Airbnb. $175 seems a small price to pay for such unique lodging! Or why not check out this yurt in Stanardsville, VA? Why would anyone stay in a boring, average hotel when you can stay in a castle, a shipping crate, a yacht, or a yurt? Of course, there are expensive options, but most are comparable or less than your average hotel stay. Bonus: most options come with full kitchens so you can save money by picking up groceries instead of eating out every day. If you’re looking for even cheaper options, you can search Hostelworld for accommodations around the globe. Many hostels often private rooms if you’re uncomfortable sharing with a group of people, but I’ve found most hotels to be clean, friendly, and fun places to stay. You’ll save your money for experiences rather than wasting it on a room that you’ll hardly be spending time in! If you’re planning a road trip, a site like Roadtrippers can provides travelers with a massive assortment of information. You can find out about attractions in the cities you’re visiting or passing by, and I don’t just mean museums and restaurants. Roadtrippers will let you know about the abandoned theme parks, haunted hotels, and quirky roadside attractions. The site even offers pre-made itineraries that you can choose to follow as you travel. Did you know that many museums are free or discounted with a student ID? For example, in Washington, DC all 16 Smithsonian museums and the national zoo are free to visit and are some of the best museums in the country, according to Tripadvisor. If museums aren’t your scene, you can always check out the nightlife wherever you travel. Try scanning Ticketmaster for local shows to plan a fun night out. When visiting Charleston, SC I saw one of my favorite indie bands play for only $15 in a venue a short distance from the city. Since smaller bands from the area were opening for them, we also got to hear some local music, which was amazing. Having a great travel experience is all about flexibility, so as long as you keep your options open and make decisions that will save you money, you should be able to plan the vacation of your dreams for a fraction of the price! Previous Post: « Birth Control Options: Should You Get an IUD?